DeAndre Coke is a Financial Advisor, operating his own practice with Northwestern Mutual. He is also a Director within Northwestern Mutual, running an internship which is top 10 in the country, as well as developing and mentoring new advisors. He works with individuals and families all over the country, specializing on working with young professionals, individuals approaching retirement, and those in the military, with a focus on those in the Special Forces. He is passionate about helping his clients reach their long term financial goals, and building a long term relationship with them in the process. On a personal note, DeAndre lives in Chesapeake where he was born and raised. He enjoys snowboarding, traveling, DJing, dancing, and spending time with friends and family. 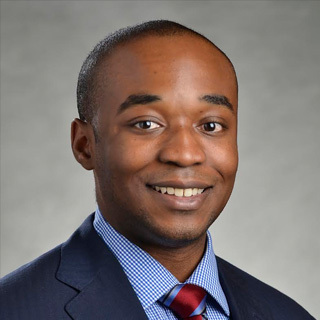 It is his goal to make a strong impression on the community, thus he serves as Membership Chair on the board of the Chesapeake Division of the Hampton Roads Chamber of Commerce as well as Regional Engagement Vice Chair on the board for tHRive, the young professional program of the Chamber. In 2015 he was chosen by Inside Business as one of Hampton Roads’ Top Forty under 40. DeAndre is also actively involved with the Tidewater Builder’s Association and also supports Alex’s Lemonade Stand and the Roc Solid Foundation.